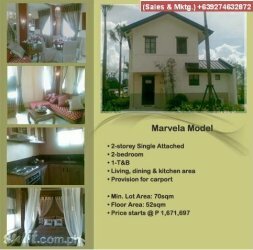 Camella Dasmariñas is an all-embracing two hectare prime development with a Mediterranean-inspired themed community. To church, to schools, to malls, to hospital, to office and even to leisure, Camella Dasmariñas is a one-ride-away convenience. MORE DETAILS & SITE VIEWING?